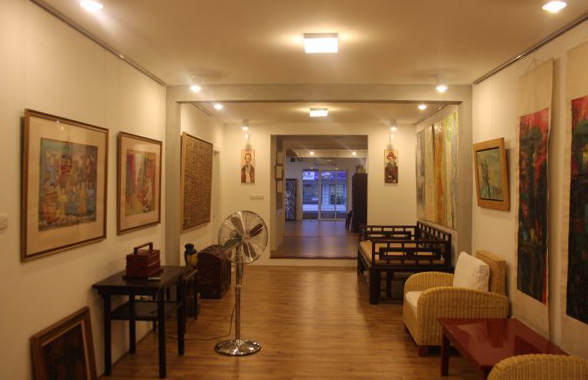 Dong Phong Art Gallery is for art lovers: it is genuine, original and across boundaries. 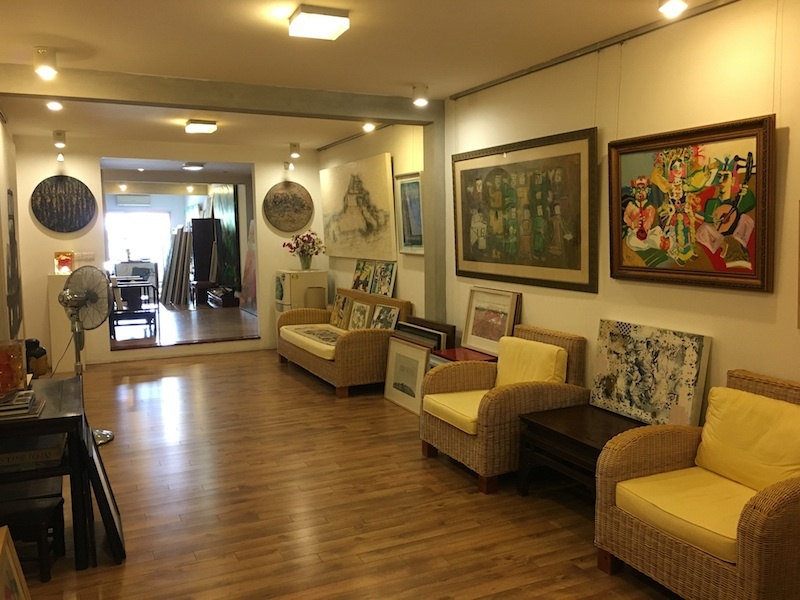 Its space at # 3 Ly Dao Thanh street is tiny but deluxe with the paintings by master artists of Vietnam.It has another bigger space, a 200m2-home-based Gallery, which is 3km far from the tiny one, where displays the huge collection of Vietnamese qualified paintings. The two first owners, Mr. Pho Duc Long and Mai Thi Thanh, are those of the pioneers of the fine art in Hanoi. In 1992, they and 3 other guys opened the First Private Art Gallery called Dong Son Gallery in Hanoi and ever since, Vietnamese artists have benefitted from their wise and kind patronage. In 2002, they separated from 3 others and opened their own gallery – Dong Phong Art Gallery at #14 Ngo Quyen street, Hanoi. Since then, many well-know artists have started their careers with Dong Phong Art Gallery and they continue to promote young artists and older masters at home and abroad. They have a large network among Vietnamese artists. Though the gallery appears small, there is much, much more than meets the eye: a large off-site collection and access to many artists' studios. The first tiny but cutie Gallery will be open all week, from 9:30 a.m to 6:30 p.m . The Art-partment in Bach Khoa area is open by appointment only. 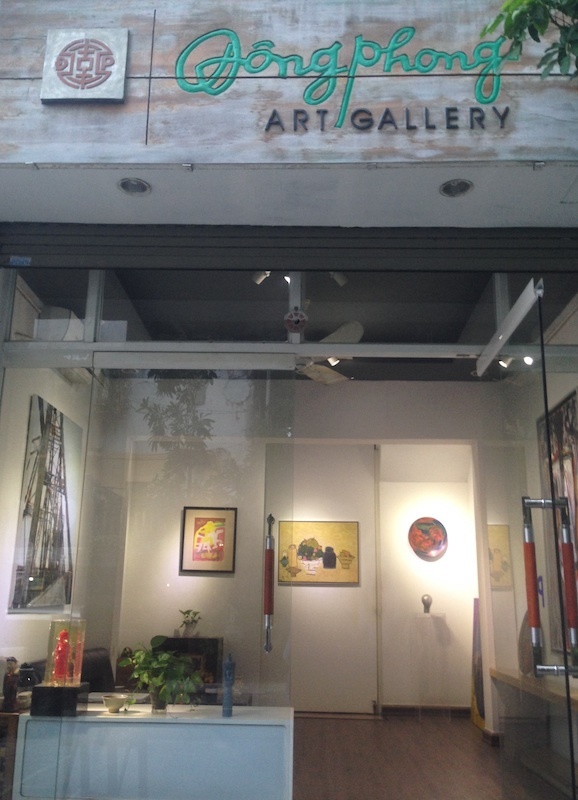 The Gallery can organize an art-tour in Hanoi for all art-lovers and also offers worldwide shipping. Please contact with us ./.